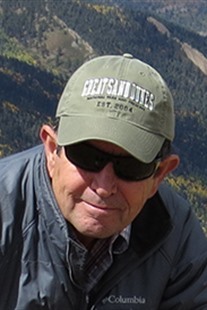 Manuel Molles is Professor Emeritus of Biology at the University of New Mexico, where he has been a member of the faculty and Curator for the Museum of Southwestern Biology since 1975. Presently he and his wife Mary Anne live in a cabin in the mountains of La Veta, Colorado, where he writes full time and manages his 100-acre property. He received his Bachelor of Science degree in fisheries from Humboldt State University in 1971, and his Ph.D. in zoology from the University of Arizona in 1976. His dissertation topic was, "Fish Species Diversity on Model and Natural Patch Reefs: Experimental Insular Biogeography." Manuel has taught and conducted ecological research in Latin America, the Caribbean, and Europe. He was awarded a Fulbright Research Fellowship to do research on river ecology in Portugal, and has been a visiting professor at the University of Coimbra, Portugal, at the Polytechnic University of Madrid, Spain, and at the University of Montana. Most recently, in 2014 Manuel was awarded the Ecological Society of America Eugene P. Odum Award for "Excellence in Ecology Education."